In today's update we take a look at South Africa's motor vehicle production numbers, in terms of physical volumes produced over time and the value of the production over time. Are we producing more motor vehicles than we did 20 years ago? The graphic below shows the index of physical volumes produced for motor vehicles, as well as the value of motor vehicles produced (note the value has been adjusted for inflation and is expressed in 2015 prices). From the graphic it is clear that there is a very close relationship between the volume of motor vehicles produced in South Africa (represented by the yellow line) and the total Rand value of motor vehicles produced (represented by the blue line). From January 1998 to May 2018, the total volume of motor vehicles produced in South Africa has increased by 92%, while the total rand value of the vehicles produced (after being adjusted for inflation) has increased by 106%. Showing that over time South Africa has started producing more expensive vehicles as value earned from increased production increased by more than the volume of motor vehicles produced. The summary below shows the average monthly Rand value of motor vehicles (cars) produced in South Africa per year. 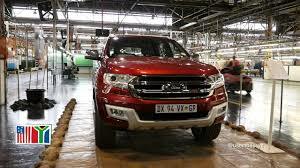 Based on the above South Africa produced vehicles to the value of R11.7billion per month (in constant price terms, i.e. prices have been adjusted for inflation). In 1998, South Africa produced on average R5.6billion worth of motor vehicles per month. As the graphic above and the aforementioned summary shows, there was a significant decline in the volumes and values of motor vehicles produced from 2009-2012 as economies around the world, including that of South Africa recovered from the financial crisis.